Remeha established themselves in the UK 35 years ago and have a good reputation for easy-to-install, slimline products which are energy efficient. 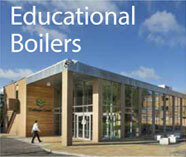 They invest in renewable technology, such as biomass boilers to help provide low carbon solutions. We can service or repair all types of Remeha Boiler including the Quinta Pro 30-115, all varieties of wall hung gas boilers, and floor standing gas boilers.